Today, 1st December marked the day when our very own conservation project kicked off in support of Project AWARE, 100 Days of House Reef Clean Up (dubbed 100 Days Clean Up in short). The initiative came from our Instructor, Brigitte, who is motivated to become a Course Director in the next 1 to 2 years. 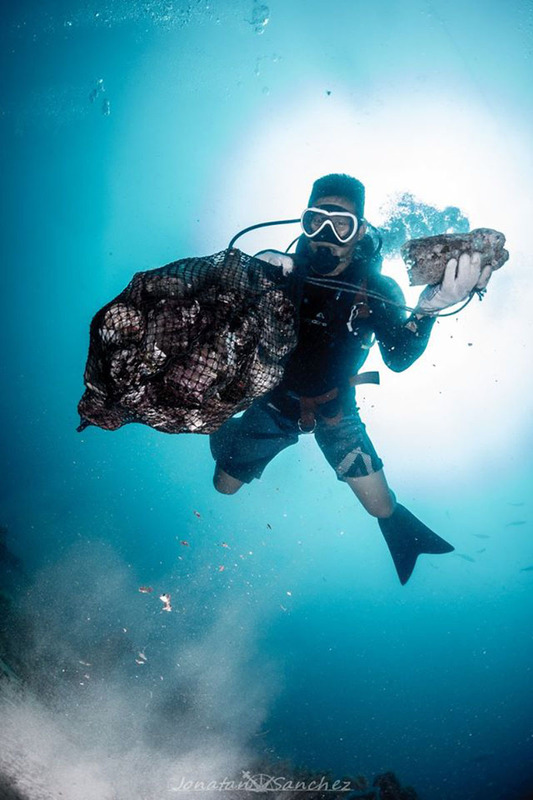 This is to be the longest under water clean ups that Mabul has ever seen; 100 consecutive days of bringing up as much debris as possible from the house reef. 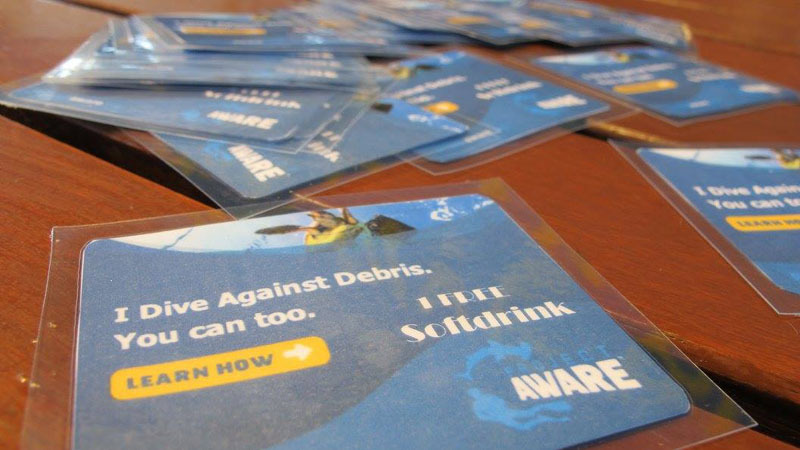 The goal is to spread awareness and to educate divers to be responsible and environmentally aware. The general idea is to involve as many guests along with the Dive Team each day for clean ups on their dives under the Rig by encouraging everyone to bring meshbags to the dives. 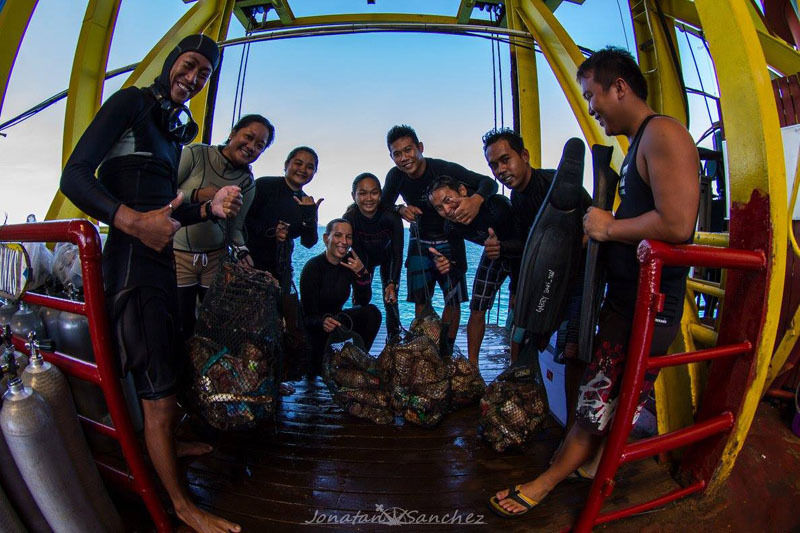 Seaventures Dive Rig will reward the participating guests with soft drinks after picking up a certain amount of debris. We are aiming for at least a dive session a day for this campaign. The Dive Team will go for bigger clean ups to pick up the heavy and bulky things that the tides bring in on weekly basis. Who knows, we might even be able to do upcycling with the debris that we cleared. Someone else’s rubbish could be another’s treasure with a little creative thinking. The marine life could always do with more shelters to add in to the existing house reef, right? As we are following the guidelines given by Project AWARE, we will not only be cleaning underwater, but also providing them important information to be used in future research. We hope that many of our guests take part in this clean ups project during the 100 days duration and making it a success. This project will end on the 9th March 2016. 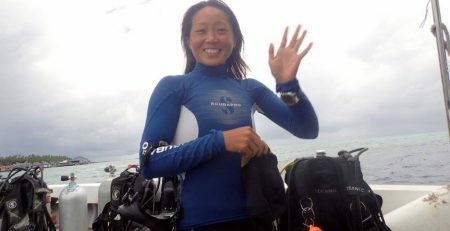 If you are booked to stay and dive with us within that period, please, come and join us. Let’s work together to give back to the environment who have been giving us so much memories and wonderful experience. It is through education and awareness that we can ensure change. See those debris collected? Let’s collect more! Show your support by liking our Facebook page and stay tuned with the daily progress on our timeline and in our 100 Days of Clean Up album.